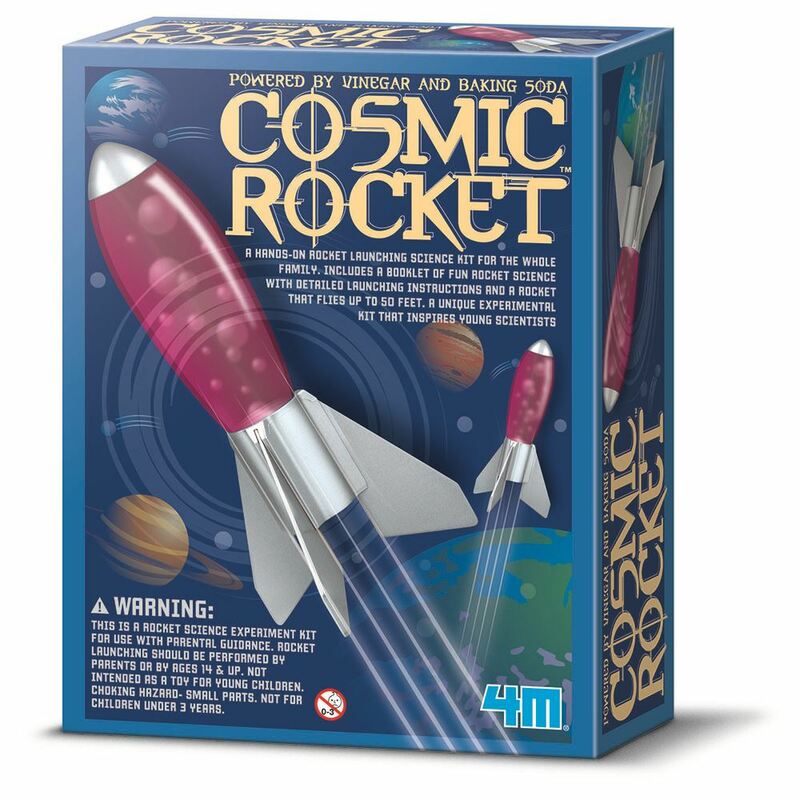 The 4M Cosmic Rocket is a hands on rocket launching science kit for the whole family. Rocket flies up to 50 feet. Includes: a transparent rocket body (15cm tall when assembled), 3 rocket fins, a connecting ring, launching station pad, measuring spoon & fun rocket science booklet with detailed instructions. Age 14+ years. Part of the KidzLabs range. Distributed in New Zealand by Holdson.